This feature is available starting with the Oracle Solaris 11.3 OS. 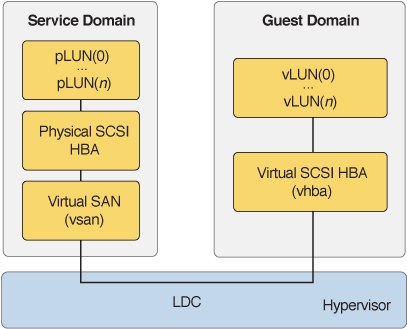 Ensure that the control domain, service domain, and guest domains that use the virtual SCSI HBA feature run at least the Oracle Solaris 11.3 SRU 23 OS. Copyright © 2007, 2017, Oracle and/or its affiliates. All rights reserved.